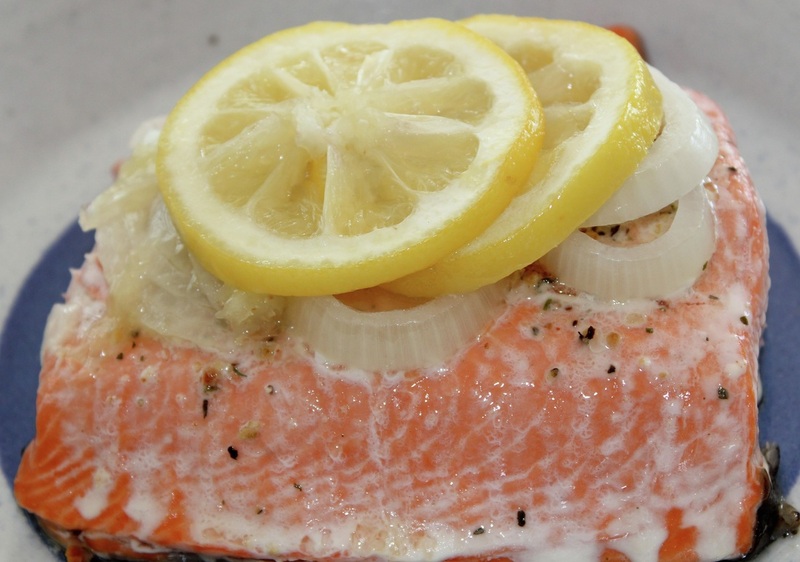 Simple is always best with a great tasting fish like salmon. Pre-heat oven to 350 degrees. Line baking pan with enough foil to fold up over the fish. Place salmon on foil skin side down. Sprinkle fish with lemon pepper and onion powder. Top with onion slices. Pour melted butter on top of onion, top with lemon slices. Fold foil up over salmon and seal tightly. Bake for 30 minutes or until salmon flakes easily with a fork.